Discover the historic city of Bursa on a private full-day tour from Istanbul with an informative guide. Visit highlights of the Ottoman Empire’s first capital including the Green Mosque (Yeşil Mosque), Grand Mosque (Ulu Camii), Covered Bazaar (Kapalı Çarşı) and Old Silk Market (Koza Han), and Green Tomb (Yeşil Türbe). 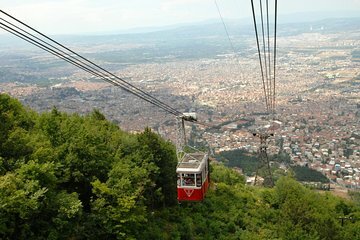 Ride the cable car to the top of Mt Olympus (Uludağ), where you enjoy cooler air and sweeping views of scenic Uludağ National Park. Your tour includes lunch, private transport, and pickup and drop-off at Istanbul hotels.